General Motors twins Chevy Silverado 1500 and GMC Sierra 1500 are pretty similar. They share a lot of options. But, we can see some difference in performance and high-end trucks. Sierra Denali is an exclusive, premium truck, with many options. But, it is time for some serious off-road pickups. The next season will bring two serious competitors to Ford F-150 Raptor. These are 2019 GMC Sierra AT4 and Chevy Silverado 1500 ZR2. 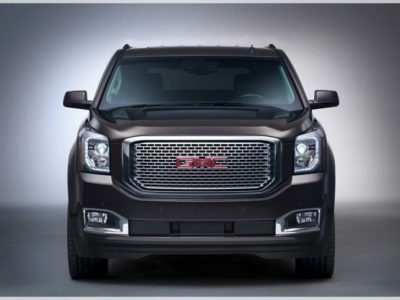 The new model is a new version of the GMC Sierra 1500 All Terrain X version. The truck will use shell and engines from the base model and upgrade it for tough situation. When you ride off the road, you will need a strong body and the entire drive system to make the adventure more comfortable. That is exactly what upgrades of 2019 GMC Sierra AT4 Off-Road package are bringing. 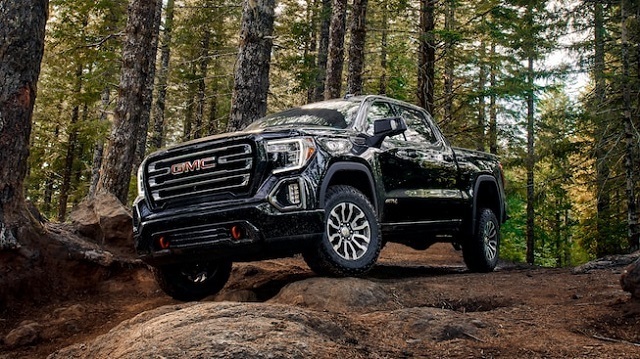 As we already mentioned, the off-road capabilities of the 2019 GMC Sierra AT4 will be the main advantage. However, designers will also upgrade the styling of the truck, outside and inside. But, let’s see what will be under the bonnet of this rig. 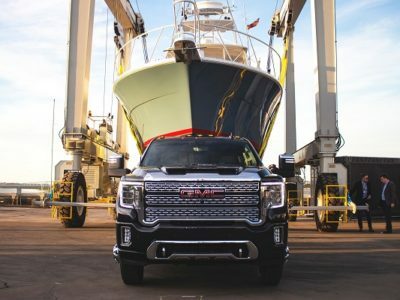 The 2019 GMC Sierra AT4 will use the entire squad of engines available for the regular truck. That means the entry-level pickup will get a 5.3-liter unit this powertrain is able to deliver 355 hp and 380 lb-ft of torque. Transmission is an eight-speed automatic. The same gearbox distributes energy for the optional 6.2-liter unit. This V8 is more potent, crunching out 420 hp and 460 lb-ft of torque. With it, the 2019 Sierra AT4 will be able to tow up to 12,500 pounds. Finally, the AT4 package will be available for diesel models as well. The new Duramax unit is a turbo-six 3.0-liter displacement. Details are not unveiled yet, but we believe this mill can develop 250 hp and 440 lb-ft of twist. This could be the best option for AT4 set because of the high torque output. 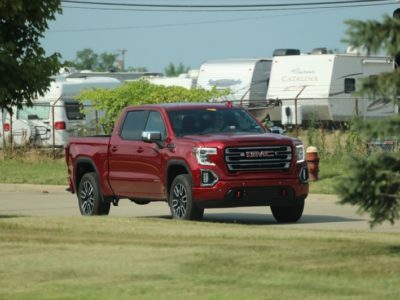 So, what will 2019 GMC Sierra AT4 bring to the standard lineup? Unique design starts with blacked out theme. Exterior is getting dark finishes, which is not the case for regular model. Grille details and chrome on it are eye-catching. LED lights are getting a C-Shape. These are revisited parts. 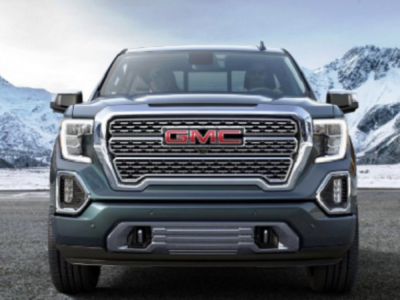 The 2019 GMC Sierra AT4 is also getting exterior upgrades, such as LED fog lights. Gloss around windows and mirrors are something else the regular model doesn’t offer. Also, you won’t miss red towing hooks or unique wheels. These are 18-inch rims with all-terrain tires. But, that is not all, since the AT4 set has an optional set of wheels. For serious off-road adventure, you will find 20-inch wheels really useful. Again, everything is dark in the cabin. Black seats and dashboard are elegant and sporty. Again, details are very important. So, the GM is not saving aluminum finishes on control panel. Also, the steering wheel is getting an unique design. Leather seats show AT4 badges. Standard equipment are rubber floor liners. This company also thinks about utility. Rear seats backs are hiding secret storage spots. Behind these, we will find a 10-liter cargo area. Also, under seats is a 24-liter tray for bigger accessories and load. To make the truck capable of off-road duties, General Motors has raised the driving height. 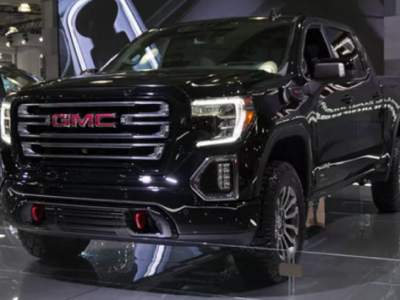 The 2019 GMC Sierra AT4 is adding 2 inches. So, total ground clearance for this model is 11 inches. Extra space will make the truck go over all obstacles in the course. Unlike the aftermarket tuning, this one is licensed and approved by the company. Also, the 2019 GMC Sierra AT4 adds some options for transmission that sends power to all wheels exclusively. A two-speed transfer case is there to help the truck in tough conditions. Engineers also add special shocks. These are Rancho monotube absorbers. Other upgrades are skid plates, for protection, hill-decent control, anti-lock brakes, and locking rear differential. General Motors goes even further. They installed a six-way tailgate for the next-gen Silverado 1500. 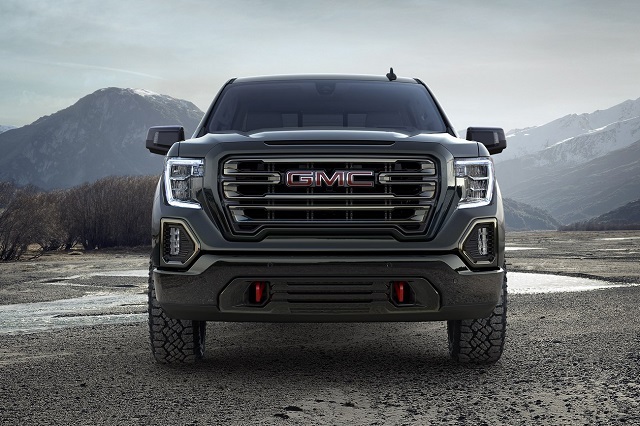 Now, the unique gate is ready for 2019 GMC Sierra AT4. MultiPro tailgate is the brand-new innovation by the truckmaker. It is able to take six different positions, making the loading, unloading, and transporting things easier, even if these are over-sized. Furthermore, the special Carbon Pro box is going to be part of the package. Increased durability and resistance are highlights of this type of bed. This is the lightweight carbon-fiber that is stronger than steel panels. The company is thinking about transporting cargo off the road. For these situations, there are tiedown hooks and center bulkhead. 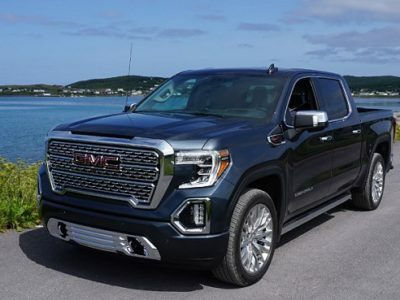 The 2019 GMC Sierra AT4 is there to fight the Ford F-150 Raptor. It is a performance-tuned off-road oriented truck. Besides these characteristics, prices of rivals will be the same. Both pickups are starting just above $50,000. With larger V8 displacement, the price will go up. Other upgrades will make the price of the Sierra with AT4 package go over $70,000.